When it comes to fashion, he's always danced to the beat of his own drum. 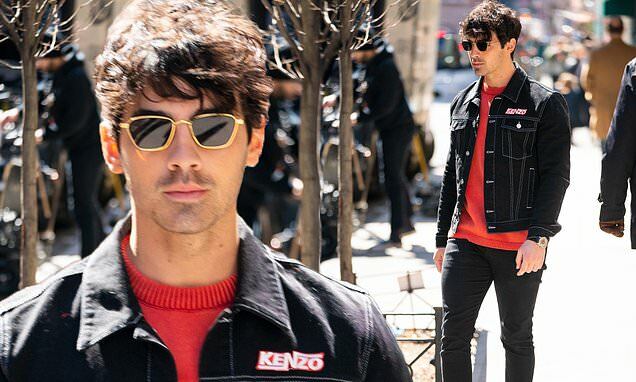 And on Monday, Joe Jonas took a style risk when he stepped out in a denim-on-denim look in NYC's Little Italy. The musician looked casual cool in a white trimmed, dark denim jacket and coordinating skinny jeans. Layered underneath his trendy outwear was a bright sweater. The Jonas Brother singer accessorized his look with a stylish watch and unique shades. He completed his spring ensembles with black socks and matching sneakers.